RICHMOND, Va. (AP) — Former Virginia Gov. 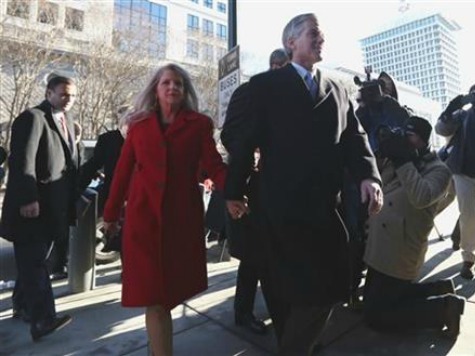 Bob McDonnell and his wife, Maureen, have been released on their own recognizance in their federal corruption case. U.S. Magistrate Judge David Novak on Friday also ordered the McDonnells not to leave the country. The former governor’s lawyer says the couple already have surrendered their passports. Federal prosecutors allege the McDonnells accepted more than $165,000 worth of loans and gifts from Jonnie Williams, the former head of Star Scientific Inc. Prosecutors say that in return, the McDonnells improperly helped Williams promote his company’s products. McDonnell, once a rising star in the Republican Party, has denied criminal wrongdoing.